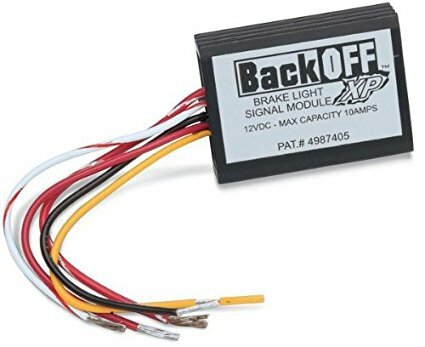 Simple To Install Help prevent rear end collisions by installation the Third Brake Light Flasher Module. The module wires into your existing third brake light with two wires in just seconds, then when you apply the brakes it causes your brake light to emit a visual alerting signal of four short light flashes, followed by one long light flash (3.5 seconds). The signal automatically repeats itself as long as the brakes are applied. The repeating pattern is not random, but rather has been selected because of its ability to keep alert the drivers behind you. The module itself is about the outside dimension of a business card. This unit is also connected to the reverse (back-up) lights. The third brake light flashes with backing-up. This piece of automotive technology is an absolute must have item. It is a cutting edge contributor to the automotive world and helps prevent accidents from occurring in the first place. Get your hands on this product. C6 Corvette 2005-2013 Reverse HID Kit - Brightest Back-Up Lights Available!